The witty ‘Getting Ready for Dinner’ captivated the judges because of several commendable factors. Its dynamic composition captures a theatrical mood that is enigmatically engaging and full of suspense. The artist shows exceptional ability to arrest the viewer with intense depiction light on its subject, from the glossiness of the teeth, the smallest hair on the ear, to the muted colour of tattooed skin. It is reminiscent of the renaissance artist’s use of the chiaroscuro technique. 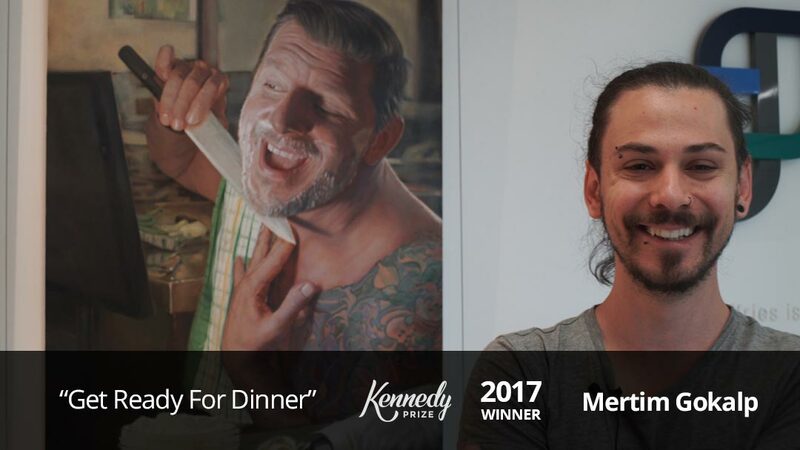 Like a mesmerising Caravaggio, the more contemporary painting displays a striking use of strong tonal contrasts between light and dark to model the charismatic chef Manu Feildel to highly dramatic effect. Equally the ability to apply sharp focused areas with more diffused tones and detail reinforced this piece as masterful, almost cinematic. 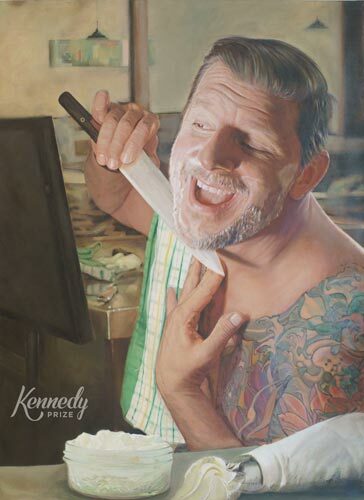 The judges were impressed by the clever reference to both cooking and grooming, despite the nearly brutal undertones it still manages to maintain an affectionate and humorous narrative.